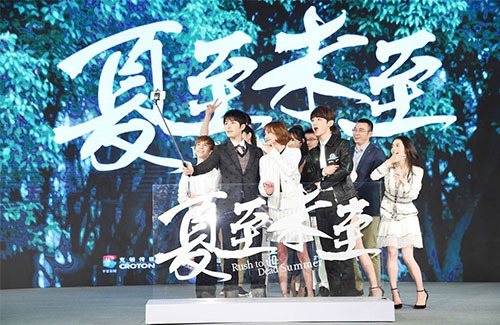 Chinese television drama Rush to the Dead Summer <夏至未至>, based on the best-selling 2005 Guo Jingming (郭敬明) novel of the same name, is set for a June 11 release on Hunan TV and the streaming service, Sohu TV. Guo Jingming, who serves as the show’s creative director, is best known for creating the Tiny Times <小时代> franchise. Rush to the Dead Summer stars Cheney Chen (陈学冬), Zheng Shuang (郑爽), and Bai Jingting (白敬亭), and follows the emotional journey of a group of close friends over a decade. Li Xia (Zheng Shuang), a poor, working-class girl, earns a scholarship to attend a private secondary school and befriends the talented artist Fu Xiaosi (Cheney Chen) and his friend, Lu Zhi’ang. Circumstances eventually set them apart, and while each of them get to achieve their own dreams, they’ve come to realize that nothing lasts forever. Does anyone know wats the latest drama after my unfair lady’s drama ended ?? No new HK drama ?